We take pride in everything we do at A Personal Touch from every stitch, thread, and pattern, to every design, fit, and look. We go the extra mile to provide you with the the best quality plus-size women's clothing that money can buy. Choose from hundreds of styles and enjoy the comfort of our products which are proudly made in America. "I love your blouses, they last forever and no matter how many times I wash it the colors stay true and the material holds up." 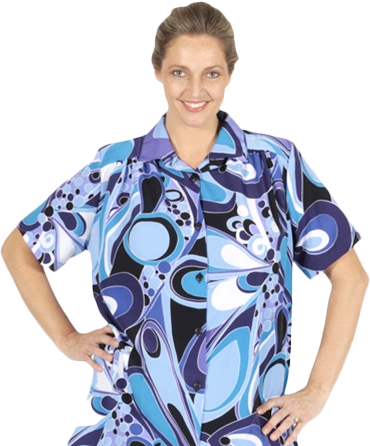 Since 1981 we have been providing plus-size women with quality products featuring innovative designs, patterns, colors, and styles. We continuously search every corner of the earth for the best textiles and materials so we can bring you the best in today's fashions. Our primary design facility is located in our Hanson, Massachusetts headquarters while our stitching operation is in upstate New York. 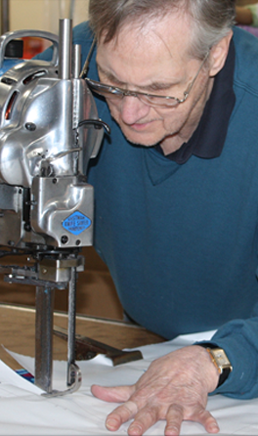 The photo to the right shows one of our experienced technical designers hard at work in our Hanson facility. This is not a valid name. This is not a valid email address.